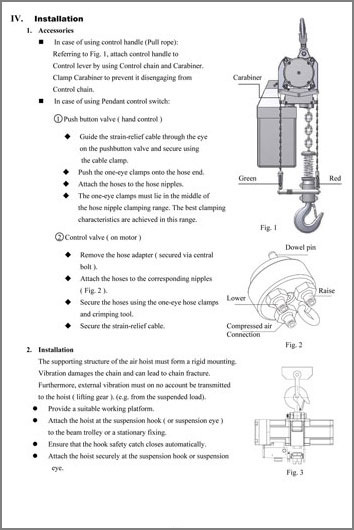 YSA-025 ~ YSA-200 Series | Generation II Air Chain Hoist Manufacturer | Cheng Day Machinery Works Co., Ltd. 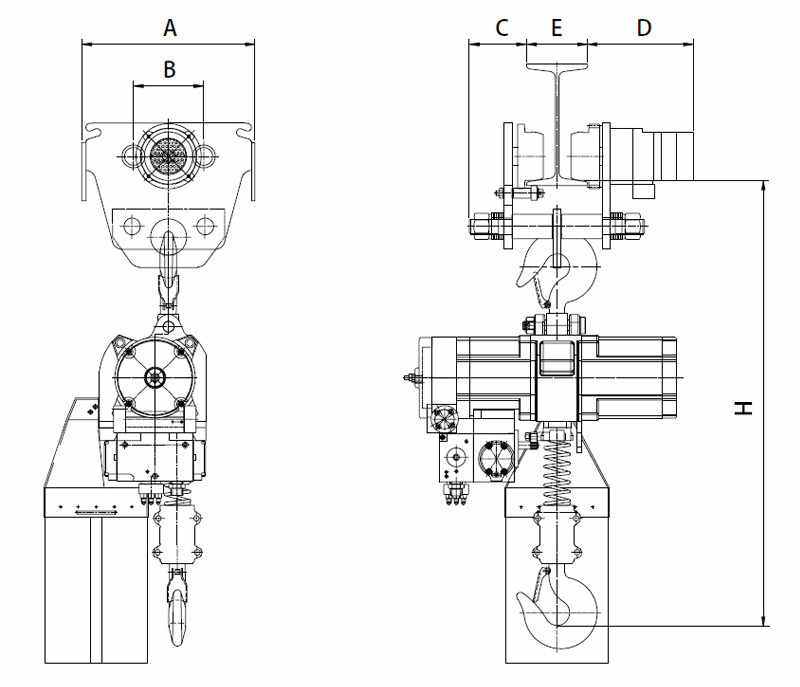 Sealed planetary gearbox complies with heavy duty cycles, gears are heat treated and mounted on high strength low friction bearings to extend its life span. G80 load chain applied. The chain guide leads load chain working rapidly and smoothly on sprocket without twisting. Toggle Cord (TC) & Pendant Control (PC,Optional) for users choice. 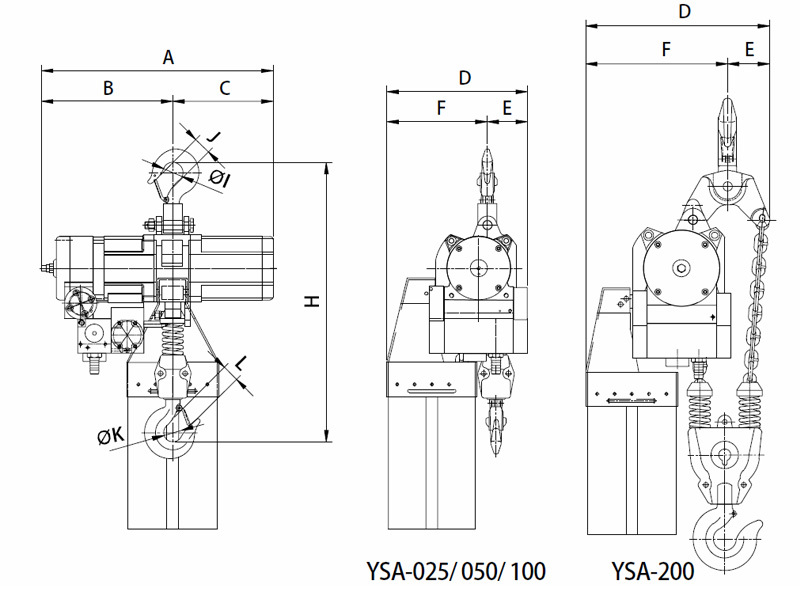 They can offer variable speed control with accurate & precise positioning of loads. Non-asbestos disc brake is applied automatically when the air shut-off. Two overload limiter devices for extra safety- a Mechanical Clutch type [MCT] & a Main Air Supply Shut-off [MASSO] valve type. 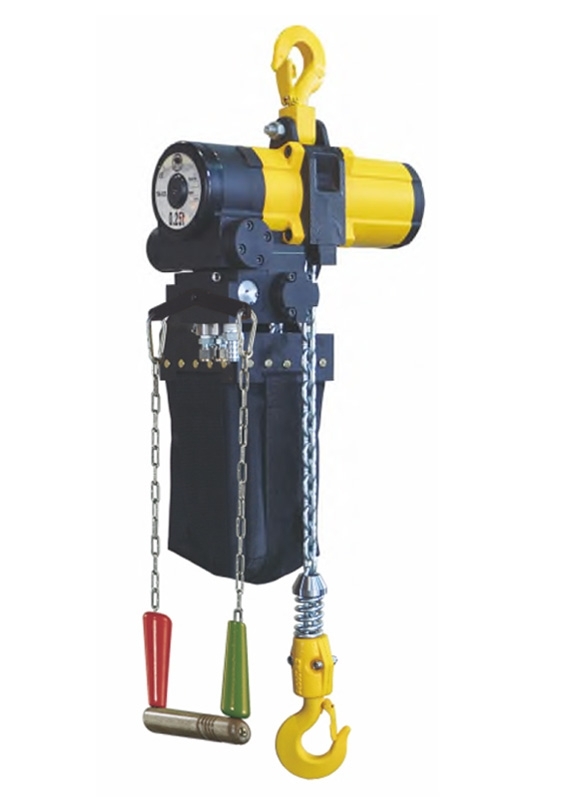 These devices are pre-set at the factory to an overload limit capacity value of the hoist rated WLL x 125% and are adjustable. 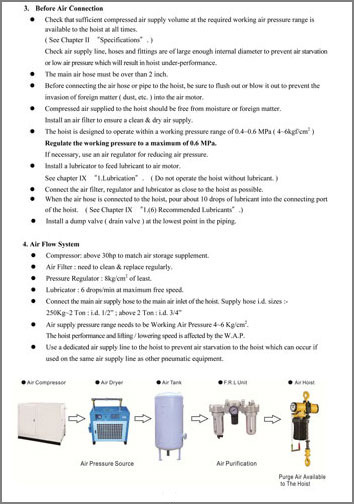 The main air supply shut-off overload limiter device MASSO valve which is integrated into the air motor monitors the air pressure differential between the incoming air pressure and the exhaust air pressure. 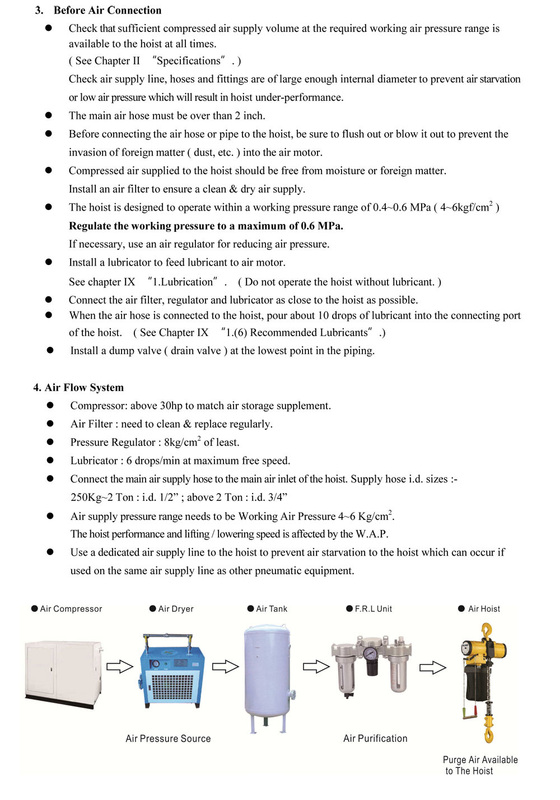 When the overload limit capacity is reached the reduced exhaust air pressure is sensed and the higher incoming air pressure over comes the valve spring tension and closes the valve thereby closing the supply of air to the brake which then engages. 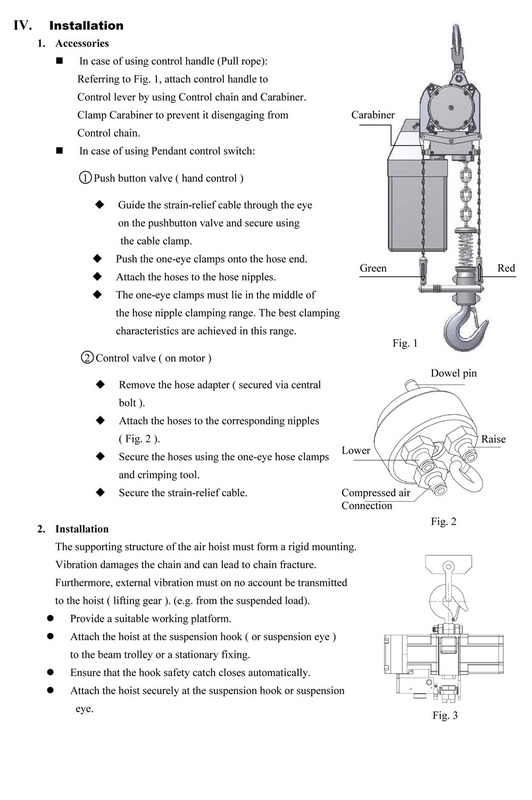 However the hoist can still function in the DOWN mode to allow the load to be lowered. To ensure that the load chain and hoist body are not damaged which can compromise safety, it is essential to limit the maximum up/down travel limits of the load chain and load hook. 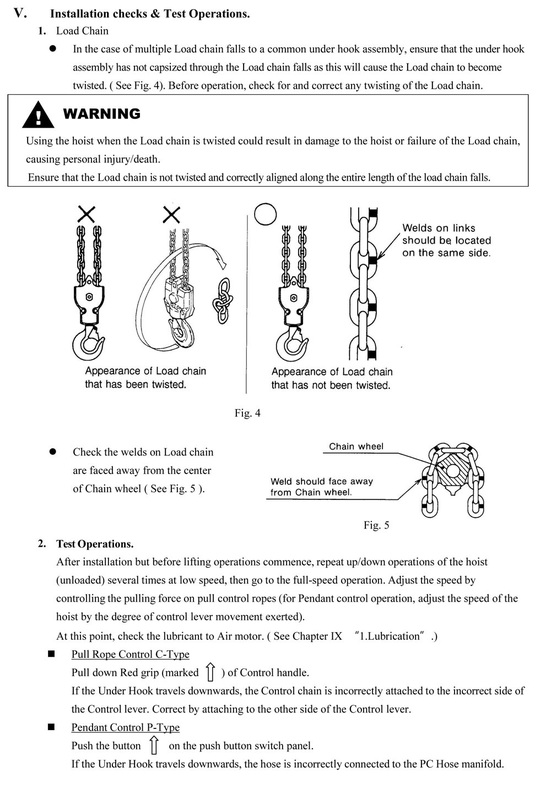 Chain stops are attached to the load chain at the UP/DOWN travel limit points on either end of the load chain. 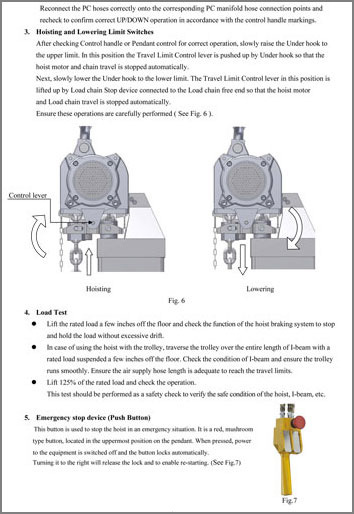 Such Chain Stops activate the limit switch when the UP/DOWN chain travel points are reached. 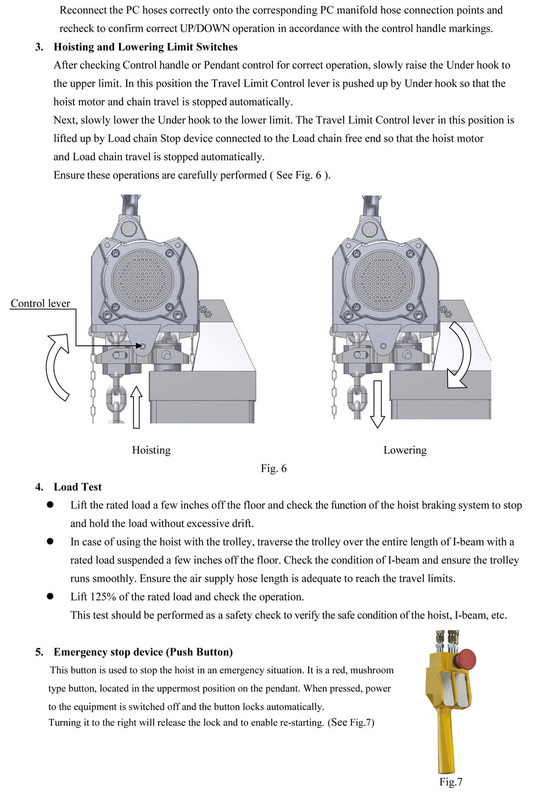 When activated the limit switch mechanically closes the main air supply control piston to stop the air supply to the air motor. 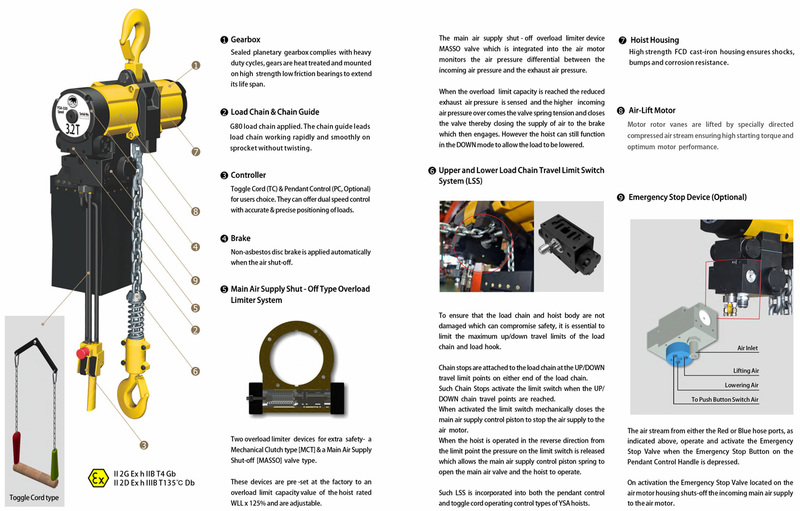 Such LSS is incorporated into both the pendant control and toggle cord operating control types of YSA hoists. High strength FCD cast-iron housing ensures shocks,bumps and corrosion resistance. Air inlet to make vanes work, through the power of centrifugal force and air-in, the motor makes maximum torque. High quality material of vanes without O-rings inside special design to ensure powerful loading and less maintenance. The air stream from either the Red or Blue hose ports, as indicated above, operate and activate the Emergency Stop Valve when the Emergency Stop Button on the Pendant Control Handle is depressed. On activation the Emergency Stop Valve located on the air motor housing shuts-off the incoming main air supply to the air motor.